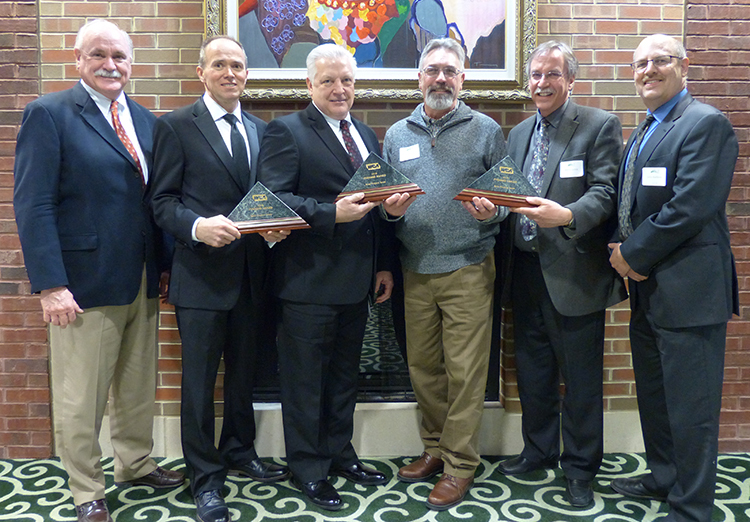 Two Granger Construction projects from 2017 were recently honored with Pyramid Awards from the Washtenaw Contractors Association. Part of the MSU South End Zone Addition project team, Granger Construction employees Marc Arthur and Suzie Cherney. 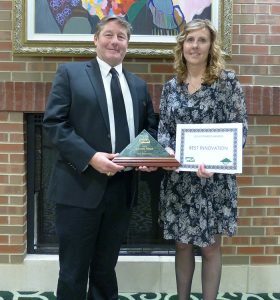 Granger’s project at Michigan State University on the Spartan Stadium South End Zone Addition was honored with the Pyramid Award for Best Innovation. This award recognizes a new and unique contribution to the construction industry that represents a significant improvement to any aspect of the construction process. Seeking to embody the University’s commitment to sustainability and their slogan “Be Spartan Green” – as well as accommodate an aggressive schedule – Granger worked with Myers Plumbing and Heating to significantly streamline and impact the installation of plumbing needed to accommodate 239 new restrooms and four concession areas. Using a product little used in the U.S. – Aquatherm piping systems – combined with pre-fabrication of piping assemblies was a big risk, but offered the highest rewards for cost and schedule efficiencies. The result was a 50 percent reduction in installation time for water mains and branch piping and a 30 percent reduction in the plumbing contractor’s man-hours. Additionally, the use of Aquatherm pipes and fittings are extremely long-lived and met MSU’s sustainability goals for the project. Granger Construction’s University of Michigan Athletics South Competition and Performance Project continues to garner significant recognition, receiving the Pyramid Award for Best Project Team for Projects Over $25 million. Members of the UM Athletics South Competition and Performance project team. The $168 million ASCP project is a multi-venue athletic complex that includes a throwing field, indoor and outdoor track buildings and lacrosse stadium with synthetic turf field – all connected to a high-performance sports center and spread over 20 acres. 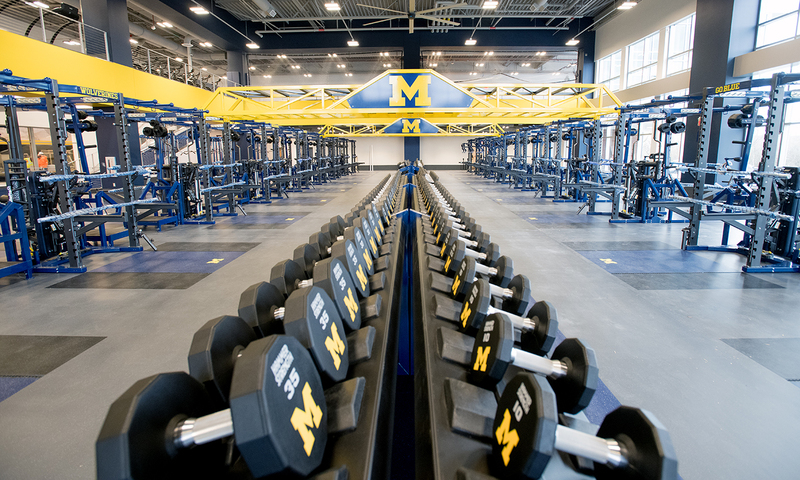 The team utilized several innovative approaches and leveraged new technology to ensure the University’s lofty goals of providing some of the most elite facilities in the world were achieved. The project was delivered within a very aggressive schedule – six months earlier than the University’s original timeline – and under budget.